Let’s pretend you’re a drummer during the dawn of human civilization. Probably a sweet deal, considering there probably weren’t very many drummers, which meant less competition for those sweet caveman gigs. But it also had to come with its own challenges as well. For instance, what happened when it came time to change your drum heads? Well… considering your drums heads were more than likely made from animal skin, you had to, umm… find and animal and… well, you get the point. Not nearly as simple as heading to your local music store or online retailer and purchasing new drum heads! From the far-off days of tanned animal hides to modern synthetic materials, drum heads have come a long way. However, instead of agonizing over which animal would make for the perfect new skin for your drums, drummers today are faced with a litany of choices when it comes to choosing new drum heads. What are drum heads made of? What type of drum heads should I choose? What’s the difference between single-ply and double-ply drum heads? Do I need a hole in my front bass drum head? Should I get coated drum heads or clear drum heads? How do I change my drum heads? I know, lots of questions. Luckily, we’ve compiled a buyer’s guide for some of the best drum heads in 2019. Looking for the best snare drum head? We’ve got you covered. Play metal and need a drum head that will stand up to heavy hitting? We’ve got the perfect one for you as well! Remo vs Evans? Take a look! Known for pioneering drum head materials and precise manufacturing, Remo is the largest drum head maker in the world. 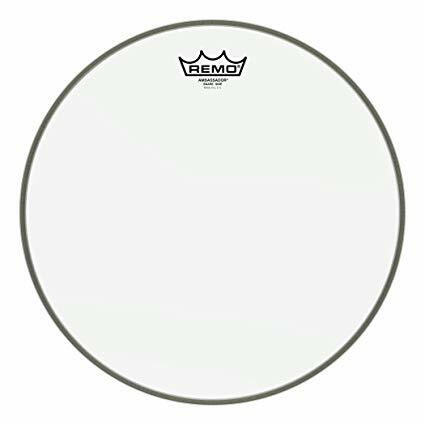 With over sixty years of drum head experience, Remo is recognized as the preeminent company when it comes to drum heads. Remo drum heads are considered some of the best in the world. Case in point, Remo’s Ambassador Hazy Snare Side is chock full of industry standard resonant tones which provide the perfect balance of high, mid, and low range frequencies for any type of snare style. Meant as the bottom snare head, make sure you don’t mount this drum head on the top of your snare! 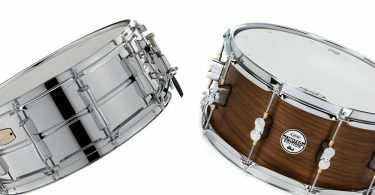 Snare head features open resonant tones. Ideal for all snare drum applications and styles. Available sizes: 8" - 16"
Generally accepted as the industry standard for resonant snare drum applications. 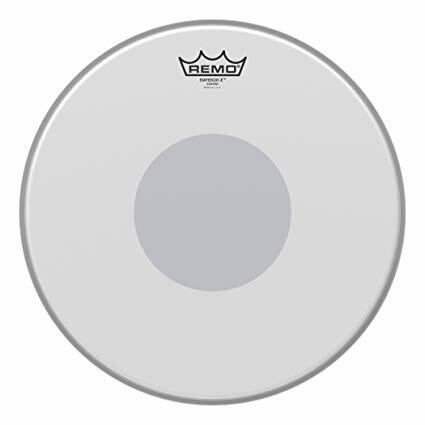 If you’re a rock drummer, you’ll benefit most from a drum head that not only emphasizes mid and low tones, but a drum head that is also extremely durable as well. 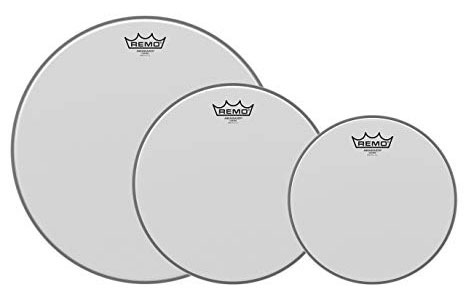 Constructed with 2-plies of 10-mil coated films with a 5-mil Bottom Black Dot, the Remo Emperor X Coated drumheads are the world’s most durable drumheads, which makes them a favorite of today’s hardest hitting rock drummers. Available in 10”- 14" diameter snare/tom drum heads. Made with two free-floating plies of 10-mil Mylar film. 5-mil reverse black dot, providing consistent focused warm tons. The first entry from Evans, a company who helped to pioneer synthetic drum head manufacturing in the 1950’s, EC2 Tompacks come as a set of three tom heads sized to fit the most popular drum set configurations. No need to know how to measure your drum heads! A perfect “all around” tom pack, the EC2 heads are made up of 2 plies of 7 mil film with Evans’ exclusive Sound Shaping Technology which provides exceptional dampening for each drum head. Available in both clear and coated versions, the EC2 heads deliver focused, even tones alongside incredible durability. Available in standard (12",13", and 16"), rock (10", 12", and 16"), and fusion (10", 12", and 14") sizes. Two plies provide consistent tones and drum head longevity. Evans exclusive Sound Shaping Technology. Coated version has a unique, translucent looking appearance. 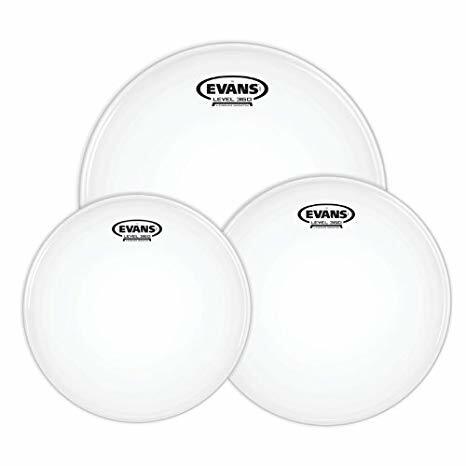 Evans drum heads are designed, engineered, and made in the USA. The Evans G2 Tompack features two-ply construction of 7mil film for ultimate durability, response, and full-sounding low-end, perfect for metal drumming. These drum heads showcase a modern sound with generous resonance. If you want additional warmth and depth of sound, the Evans G2 Tompack also comes in a coated version as well. Pair these heads with the perfect snare drum for metal! This is the drum head pack for you! Rock Tompack comes with 10",12", 16" drum heads utilizing two plies of 7mil film. Two plies offer consistency and durability for longer playing time. Perfect for metal but also adept at all styles of music. From rock to jazz, these heads will perform. Coated version delivers additional warmth, focus, and depth, and has a cool and genuinely unique looking translucent appearance. 1-ply 10-mil clear film with a 3-mil inlay ring for tom and snare drums heads and a 10-mil inlay ring for bass. Perfect for any style of music. Comes in a variety of sizes ranging from 6" – 36." Perfectly balanced to highlight response and tone. 1-ply, 10-mil coated film construction. Provides warm tones and focused sustain. The coated heads provide excellent stick rebound and overall playability. Drum heads set come in multiple size options for every type of drum kit. Whichever of the aforementioned drum heads you choose to purchase, you can be sure you’re getting a quality drum head. But what if you’re just a beginning drummer? What does “ply” mean? 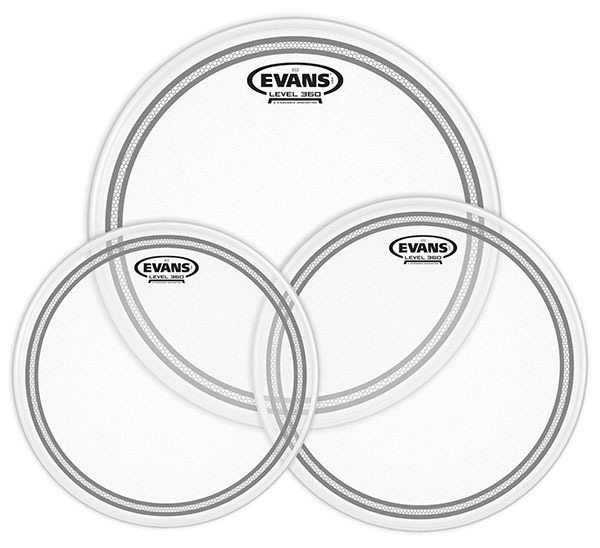 How do you know to choose single or double ply drumheads? What size ply is best for your style of drumming? 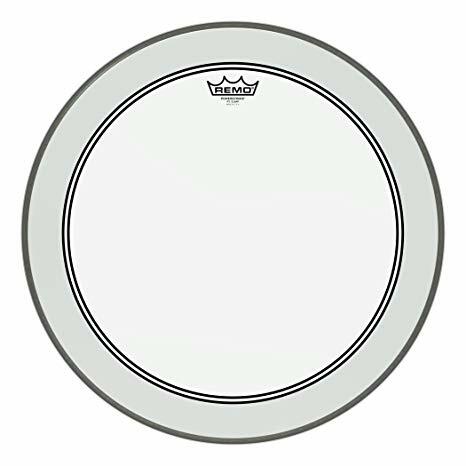 The most common type of drum head, the single ply drum head is made with the single sheet of Mylar in 7 to 10 mm thicknesses. Generally, thinner single ply drum heads are brighter sounding and very responsive. But that brightness comes at a cost as single ply drum heads are the least durable of all drum heads. If you’re a heavy hitter, like Dave Grohl or Animal from the Muppets, stay away from these! These drum heads have, you guessed it, two layers of mylar sheets! Most double ply drum heads have a deeper tone, limited sustain, and more low-end than their single ply counterparts. Obviously, these double ply drum heads are going to be more durable then single ply. Feel free to bang away on these all day! Okay… feeling like you know your way around drum heads a little bit better? Good! Once you decide on single ply versus double play drum heads you’ll need to consider whether you want your drum head coated or clear. What’s the difference? Glad you asked! 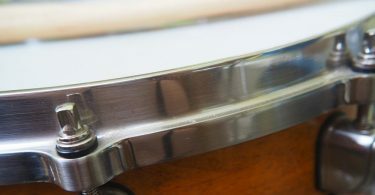 There are many different types of coating applied to coated drum heads. Some coated drum heads even have drawings etched into them to alter the overall tone of the drum! Regardless of the type of coating your drum head has, they will generally sound warmer than non-coated heads. These drum heads will generally produce a brighter, “punchier” sound. Clear drum heads will also tend to resonate and project more than double ply heads. How Do I Know When It’s Time to Change My Drum Heads? There is really no hard and fast rule as to when and how often you should change your drumheads. It really boils down to the amount of playing you’re doing, the style or genre of music you’re playing, and how heavy a hitter you are, when considering drum head replacement. New drum heads are going to sound crisper and brighter while grungy and dirty drum heads will sound darker and drier. A good rule of thumb to follow: when your drum heads are starting to look dirty, compromised, or are no longer staying tune, it might be a good time to think about replacing them. If your drums are sounding “buzzy” or muffled, it might also be time to change your drum heads. If you’re practicing and playing with any regularity, changing your drums heads every six months should suffice. If you’re a touring musician, perhaps more often. If you’re planning on going into a recording studio to record drum tracks, most definitely make sure to change your drum heads prior to doing so. Perhaps you’ll find your “magic” drum head right out of the gate, or perhaps you’ll spend the entirety of your drumming life in search of the perfect drum head. Regardless of which path to drum head nirvana you embark on, please feel free to refer to this buyer’s guide as an excellent jumping off point. Best of luck in your search and keep drumming!